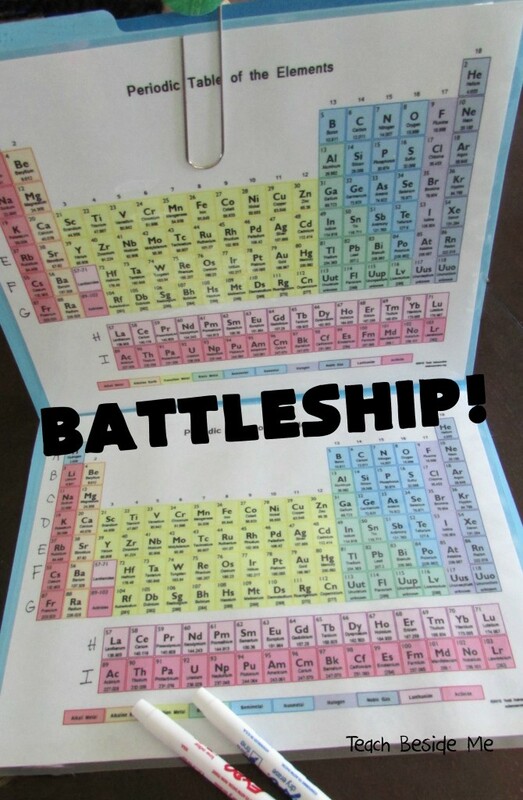 Karyn Tripp of Teach Beside Me shares her design for Periodic Table Battleship, a scientific twist on the classic game Battleship to teach kids about the elements. The board can be created by printing out four copies of the periodic table, laminating them, and combining them using folders and a paper clip. Players circle lines of two, three, four, and five elements to mark off the game’s “ships” and must find the other player’s chosen elements first.